The Terex R165S, Terex R185S, and Terex R200S Skid Steers are one of the hardest working class of skid steers in the industry. With their ability to use dozens of different attachments, work in any industry, and outperform and other skid steer in their weight class, these machines work hard and efficiently for the operators. Monster Tires understands how much any downtime can cost, especially when that one machine is capable of performing and task on the job site. 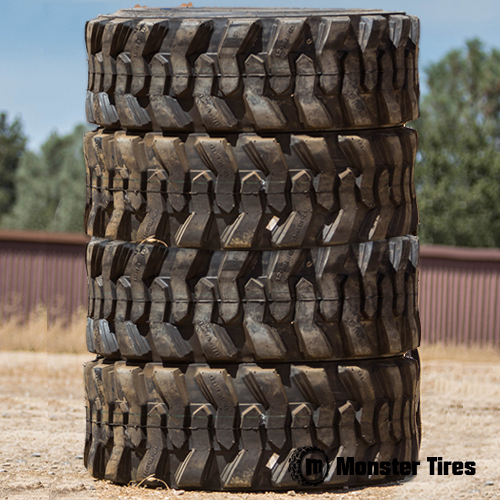 Monster Tires is here to ensure you never have downtime due to blown or bad tires, Call the staff at Monster Tires today to get your Terex R165S Skid Steer Tires, Terex R185S Skid Steer Tires or Terex R200S Skid Steer Tires ordered today.